News - Abingdon Family Mediation. Mediator. Separation. Divorce. 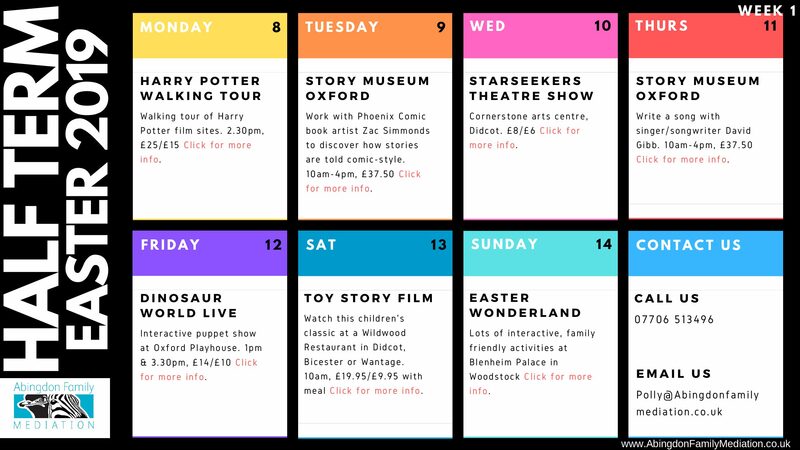 Click EASTER WHATS ON 2019 for our much loved guide to entertaining your children over the Easter holidays. Our chart shows you how mediators and solicitors can help you on divorce.